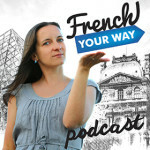 Today’s guest Maryse Mounier is a very energetic woman who is passionate about vanilla. She is working, on her own, in the forest where she grows Bourbon vanilla, a type of vanilla which is famous worldwide for its high quality and strong flavour. Bourbon was actually the former name of La Réunion island and we call “vanille bourbon” the vanilla beans coming from the vanilla planifolia plant. You can also find vanilla planifolia in other areas such as Madagascar or the Comoros but they are grown differently. 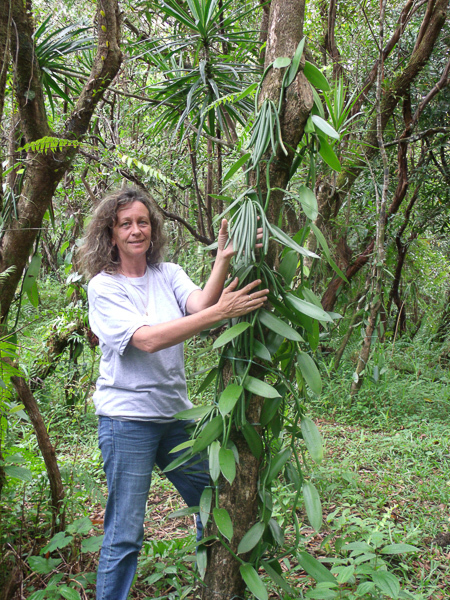 For example, Maryse Mounier’s plantation is located on a very old lava track Réunion, which means her vanilla grows on very little soil but on a volcanic land. Vanilla is a climbing vine which is quite fragile and growing it takes a lot of care and patience: you’ll need to wait several years before getting your first vanilla flowers! 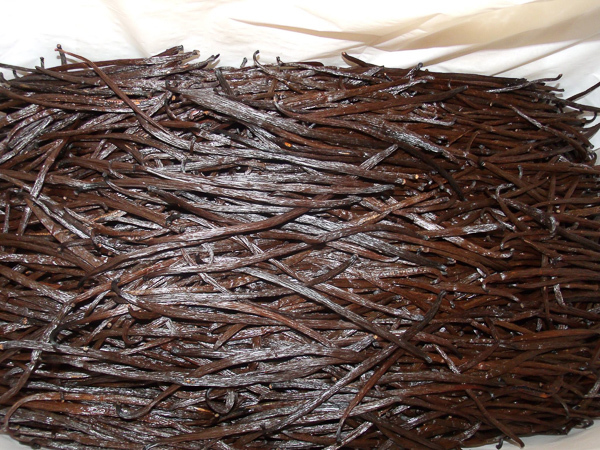 In addition, growing vanilla also requires hard physical work, is entirely done by hand – which explains why vanilla is the second most expensive spice after saffron. 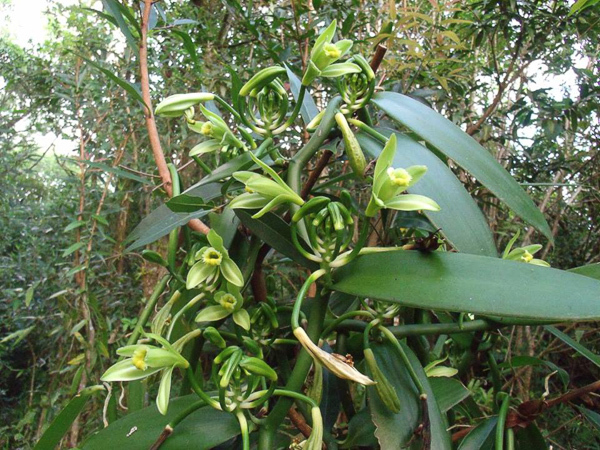 Although vanilla has become an emblem of the area, this plant is actually not native from La Réunion and there are no insect pollinating the flower on the island. 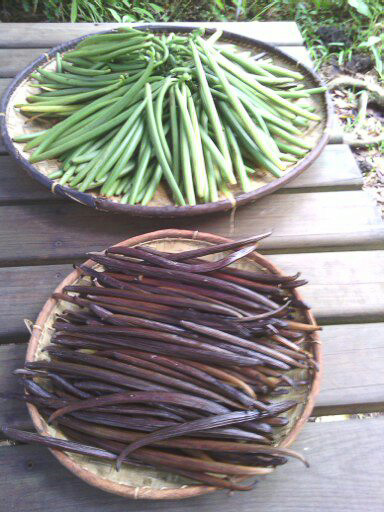 Fecundation must therefore be done by hand in order to get the vanilla pods! 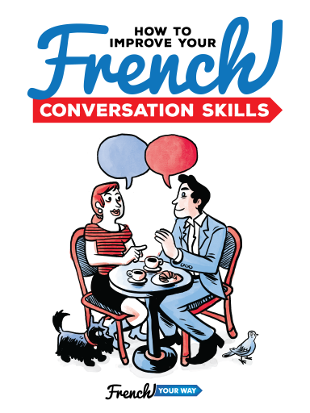 In this episode, you’ll also learn that Maryse is comes from Métropole (= Mainland France) and fell in love with vanilla when she moved in La Réunion. After growing it in her garden for her own consumption, Maryse got the opportunity to get a long-term lease of land in a primal forest which she had to clear out herself. Being a woman and a “Zoreille” were initially a challenge for her. What’s a “zoreille”? 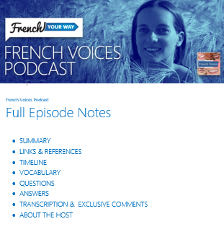 Listen to find out! 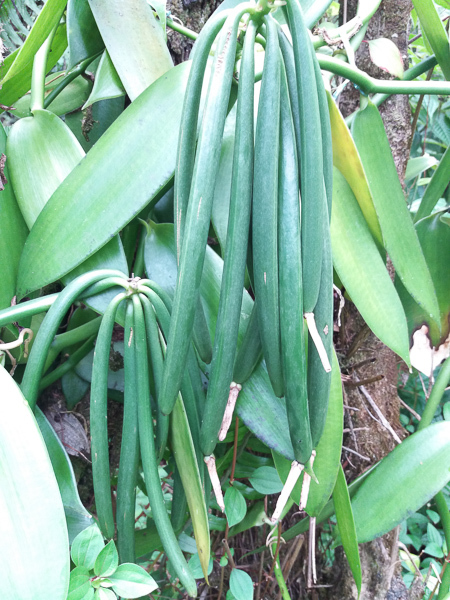 How fast does a vanilla vine grow when the weather is hot and humid? When do the vanilla flowers bloom? What year did Maryse start working in the forest?